Sun Nuclear Corporation, a leader in Radiation Oncology Patient Safety solutions, is pleased to announce SunCHECK™ Plan-Checking, an affordable, independent and automated tool for structure-based constraint checks, rules-based physics plan checks, and plan quality reporting. 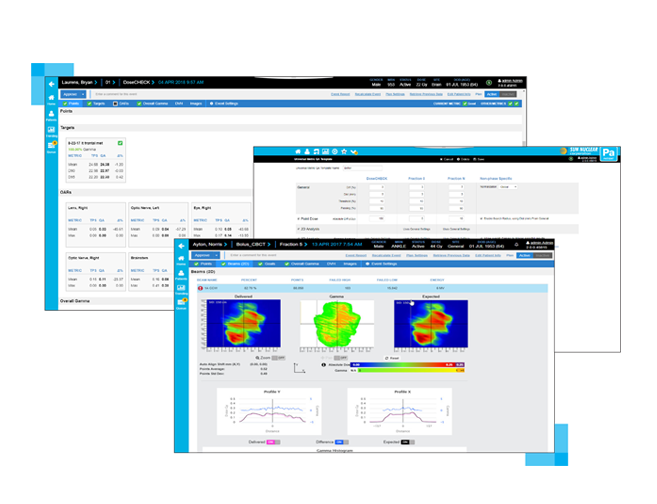 SunCHECK Plan-Checking launches directly from the scripting menu of Varian's Eclipse™ Treatment Planning System (TPS), providing three valuable benefits. First, structure-based constraint checks provide clinicians with a quantifiable Plan Quality Metric (PQM) score, the same PQM already used by thousands of clinicians worldwide in Plan Studies and Plan Challenges. Second, a new set of comprehensive rules-based physics plan checks with pass, warn, and fail criteria are automatically applied. Third, professional plan quality reports for documentation and audits are included. "In recent years, there's been growing clinical interest in assessing plan quality with the aim of improving treatment plans and overall quality of care," stated Jeff Simon, Sun Nuclear CEO. "We're pleased to offer this innovative and affordable solution that leverages Eclipse scripting to address a significant clinical workflow issue." SunCHECK Plan-Checking is offered within Sun Nuclear's SunCHECK Enterprise Quality Management Software, or as a low-cost standalone solution, launched directly from Eclipse scripting. Sun Nuclear will demonstrate the capabilities of SunCHECK Plan-Checking at the ASTRO 2018 Annual Meeting in San Antonio. Interested individuals may visit Sun Nuclear in Booth 1302 to learn more. ASTRO '18: Sun Nuclear launches plan-checking for SunCHECK Quality Management Platform. Appl Rad Oncol.